Surreal door created by unknown aliens, found on Theta 116 VIII. Open to entry but seemingly closed to exit. 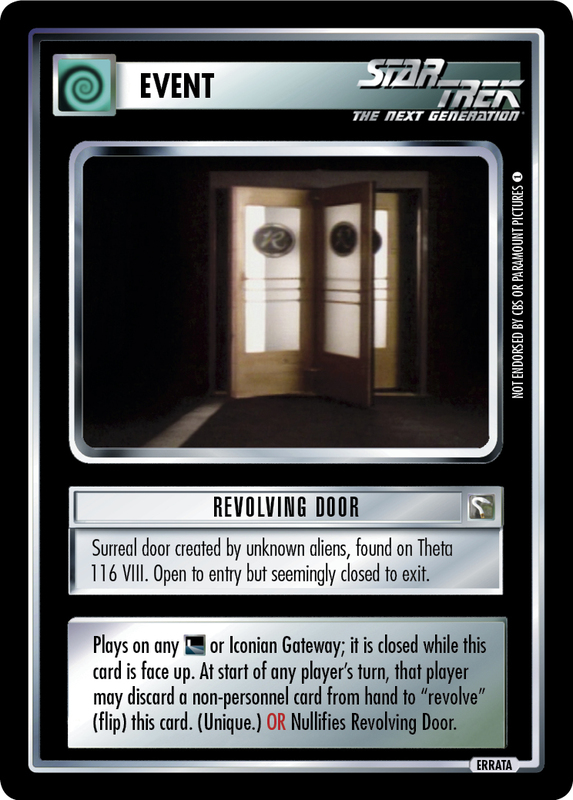 Plays on any or Iconian Gateway; it is closed while this card is face up. At start of any player's turn, that player may discard a non-personnel card from hand to "revolve" (flip) this card. (Unique.) OR Nullifies Revolving Door. Image Source: The Next Generation: "The Royale"